Is the summer heat getting to you? Maybe after weeks of doing nothing, the kiddos are a bit bored? Or all of the above?! That’s what happened to us when the girls had a week with nothing planned and lots of rainy days. 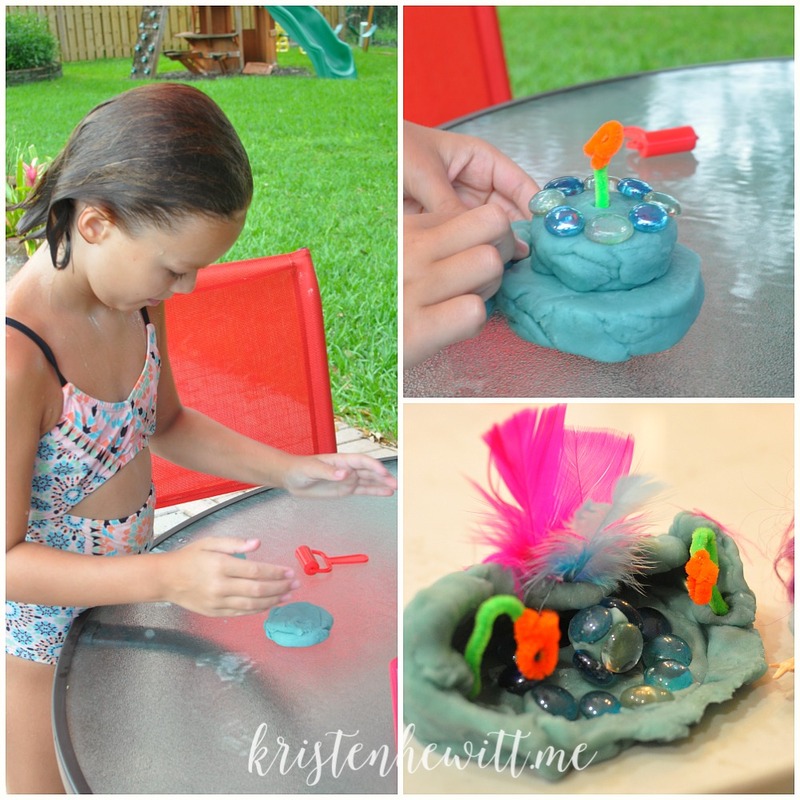 So we whipped up this fun summer fun play dough on a day when we had lots of friend coming over. 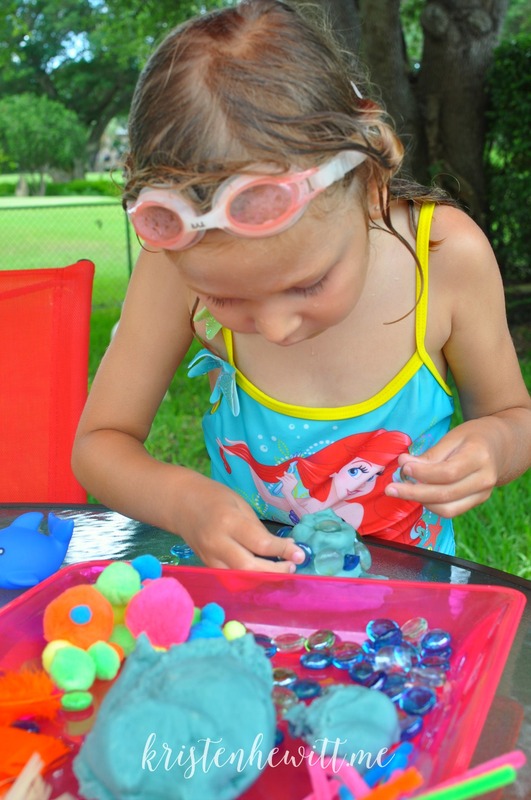 Sure they have a pool and toys, but kids of any age always love homemade play dough! On the first day of summer vacation, I raided the Dollar Tree for craft supplies. 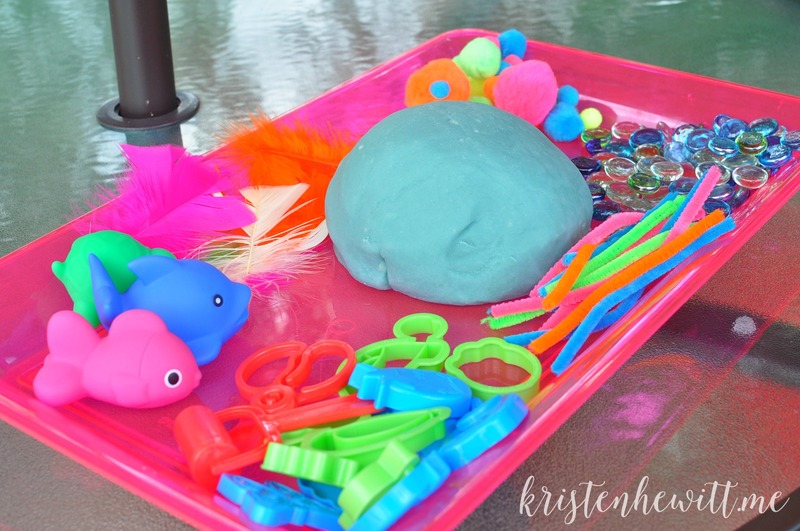 Of course, I had forgotten about everything I bought, and when I pulled out the bag a month later I realized I had the makings of some summer fun play dough. 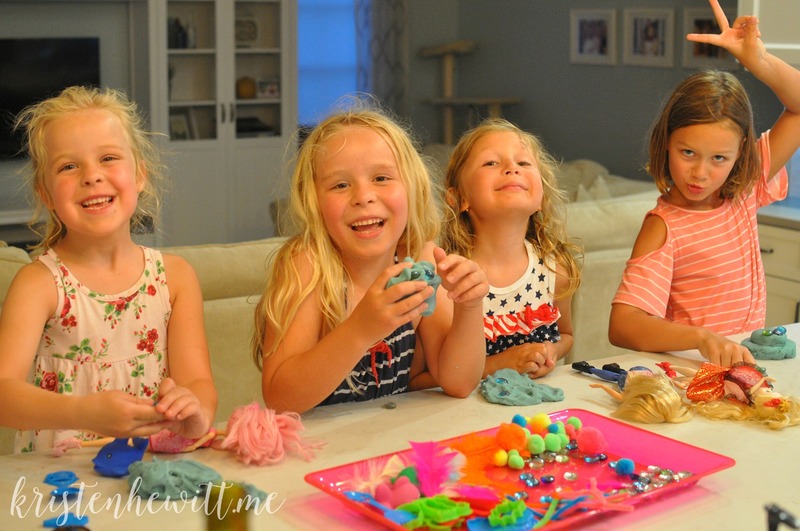 I love putting pipe cleaners, stones, play dough cutters, feathers, and other toys on a tray and see what the girls come up with! And it’s apropos that they wanted to play with it as soon as they got out of the pool! They also made a mermaid shell house! And before you shake your head and think, “There’s no way I have time to make homemade play dough!” think again. It’s really not that hard, you just need a few ingredients, plus food coloring. The kids love measuring and mixing it and picking the color of the play dough. They also like helping to roll it out. Plus it smells so much better than regular play dough and isn’t as messy. And if you’re stuck on the mess, then let them play outside or on the porch. We were lucky this lasted through two playdates and stayed in a ziplock bag for another couple of weeks. See, all kids love play dough, even our goofballs on the right! So give this a whirl, you might surprise yourself! Here’s the recipe below. 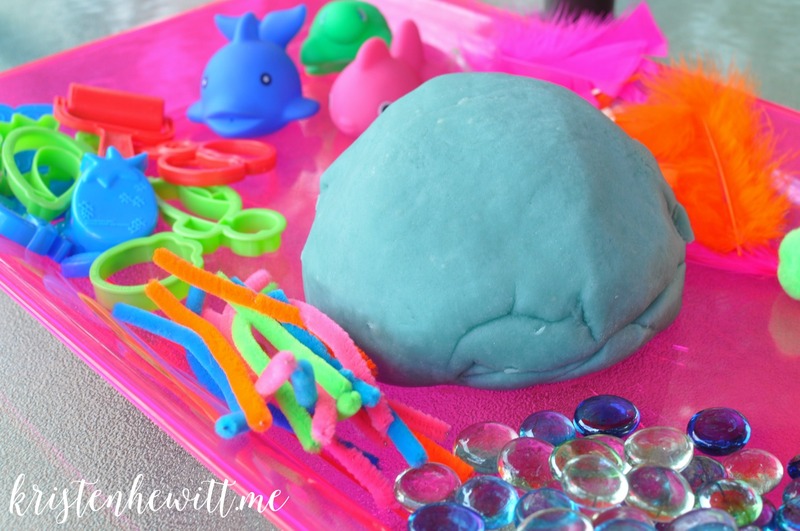 And don’t forget to check out my other play dough recipes, you can pin them for later! Mix all the dry ingredient together, and then add the wet ingredients. Stir until well blended. Transfer hot play dough carefully to a floured surface. Knead as dough cools. 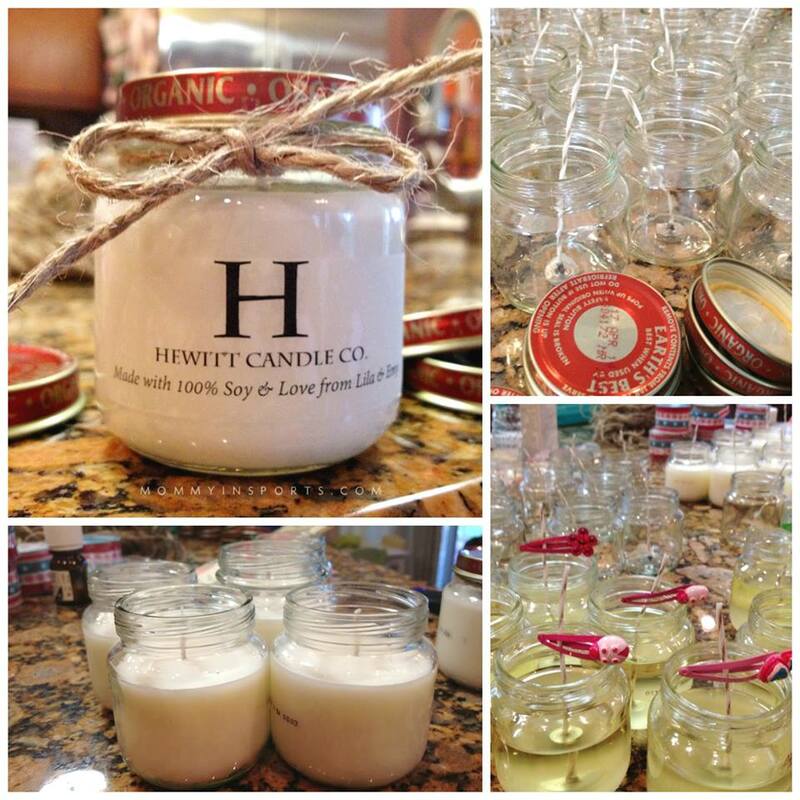 If you liked this post, please check out my DIY Baby Food Jar Candles.